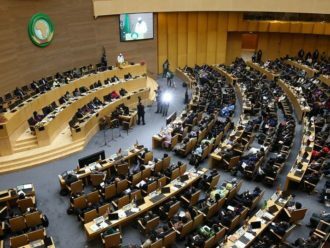 At the recently ended 28th African Union Summit, held January 22-31 2017 in Addis Ababa, Ethiopia, the African Union has finally made good on its promise to promote gender parity on the African Court on Human and Peoples’ Rights (ACtHPR)! Two women judges were elected to fill the two remaining vacancies on the court, these are Justice Chafika Bensaoula of Algeria and Justice Tujilane Rose Chizumila of Malawi. This development brings the total number of women judges currently serving on the court to five out of a total of eleven judges. This development is a big victory for advocates of gender parity within the AU, as well as scholars and practitioners advocating for gender parity in international courts. 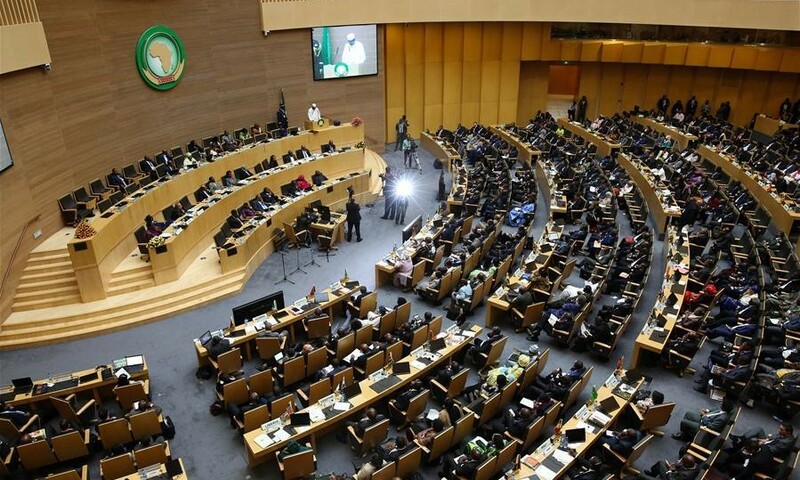 The recent election is preceded by the 27th African Union Summit held in July 10-18 2016 in Kigali, Rwanda, during which there were four vacancies to be filled on the ACtHPR. At this meeting, the Assembly of Heads of State and Government of the African Union (AU) elected only two judges who were both women; Justice Ntyam Ondo Mengu from Cameroon and Justice Marie Thérèse Mukamulisa from Rwanda. The postponement of the election to fill the two vacancies appears to have been a deliberate action on the part of the AU to make good on its gender parity promise by requiring states to nominate and elect female judges as provided for in Article 12(2) and Article 14(3) of the Protocol establishing the court. This brings the total number of women judges to have ever sat on the ACtHPR to eight, representing 34%, out of a total number of 23 judges since the court first got in session in 2006. For the first time in the history of the court, there will be five women judges sitting concurrently on the eleven-member court. The election of Justice Bensaoula of Algeria is another major milestone as it marks the first time in the history of the court that a woman is represented from the Northern region of the continent. As Osai Ojigho has argued, increasing the number of women judges on the ACtHPR can be achieved if the vacancies are widely advertised, if nomination procedures at the domestic level are transparent and widely publicized, civil society involvement is encouraged, outstanding candidates are sought out and that at least one of three possible nominees is a woman. The recent elections have shown that where there is a will, there is always a way for gender parity. In the note verbale communications sent out to States during vacancies on the court, the Office of the Legal Counsel has consistently asked for the nomination of women. So, what changed this time around? It appears that in the last two elections, a punitive measure was applied whereby states that did not have women were disqualified to run. For scholars concerned with achieving gender egalitarian benches both at the domestic and international levels, the recent election of four women judges to the ACtHPR may provide some glimmers of hope and it is a hope that we need to actualize at other sub-regional courts on the continent. As I have documented elsewhere, African women judges have, to date, accounted for the largest number of women judges from one geographic region to serve on the ICC. The fact that African women hold this record is indicative of the fact that women judges have the right qualifications to fill vacancies on courts at the regional and continental levels—thus the limited pool argument does not hold much sway. The patterns and history behind the growing number of African women judges in international courts, is discussed in the forthcoming volume, “African Women Judges on International Courts: Untold Stories”, (Dawuni, Josephine, Kuenyehia, Akua and Swigart, Leigh, Routledge, 2017). As IntLawGrrl Nienke Grossman has suggested, the use of temporary mandatory quotas may be one strategy to increase the number of women on international courts. While temporary quotas may be a good way to expand access for qualified women judges, I do not ascribe to that strategy. As we have seen in the recent elections to the ACtHPR, enforcement of existing provisions for gender parity such as the application of measures to hold States to their obligations may be one strategy to achieve gender parity. It becomes the duty of States Parties to nominate the strongest female candidates, nonetheless, women judges will also have to be intentional about gaining access to nomination processes and gatekeepers. Preliminary evidence on the record of women’s success at the domestic level in most jurisdictions across the continent as discussed in Gender and the Judiciary in Africa: From obscurity to parity? strongly indicates that there is a big enough pool of qualified women from which to draw women nominees for international courts. We may also be missing some important factors when we focus only on the numbers. We should ask a couple of questions: first, whether female candidates know about these courts and, second, whether they are interested in positions on these courts? This is where the role of networking and awareness raising becomes crucial in programs such as open dialogues hosted by the Institute for African Women in Law, where former judges Justice Akua Kuenyehia and Justice Sophia Akuffo discussed their experiences on international courts. As Dawuni and Kang have observed, African women judges have risen to the upper echelons of judiciaries across Africa. At the international level, we have seen the record set at the ICC, with African women accounting for 33% of the total number of women (15 to be precise) to serve on the ICC bench. The Economic Community of West African States (ECOWAS) Court of Justice comes has had 40%, the East African Court of Justice comes in at 25% and the African Court of Human and Peoples’ Rights has just moved from hovering around 18% to 34% as currently constituted. African women judges have also made their mark on ad hoc tribunals such as the ICTY, ICTR and SCSL. As the highest-ranking continental court, the ACtHPR has proven once again that where institutional mechanisms are enforced and opportunity structures are opened, African women will always rise to the occasion. This is just the beginning and it is the hope that the sub-regional courts such as the ECOWAS Court of Justice and the East African Court of Justice will learn from these new developments. Now is the time to start working towards future elections at the sub-regional levels. Now is the time for Heads of States, civil society organizations and other agencies to nominate women for future elections on the ICC and other international courts and tribunals. Now is the time to sign the pledge on the Gqual Movement! Crank up the volume for our #PodcastsforPARITY!